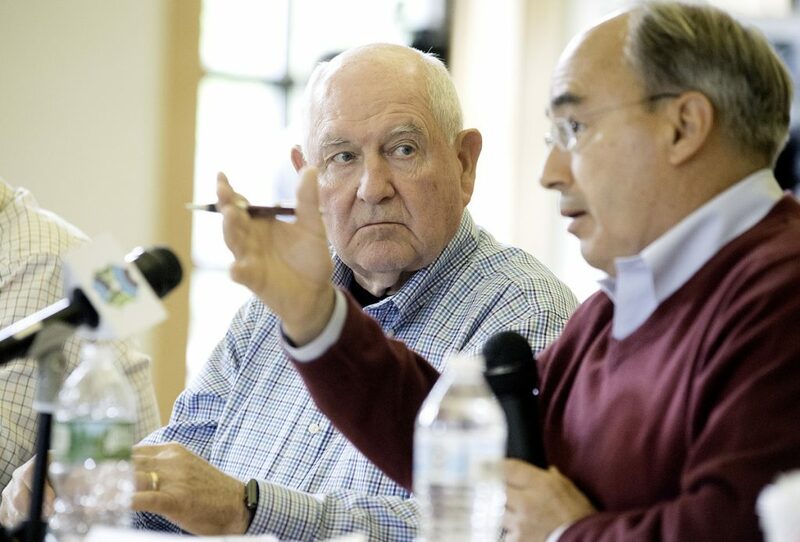 Sonny Perdue and Bruce Poliquin heard about the need for better internet access, telehealth services and addiction treatment during a discussion at Franklin Memorial Hospital. 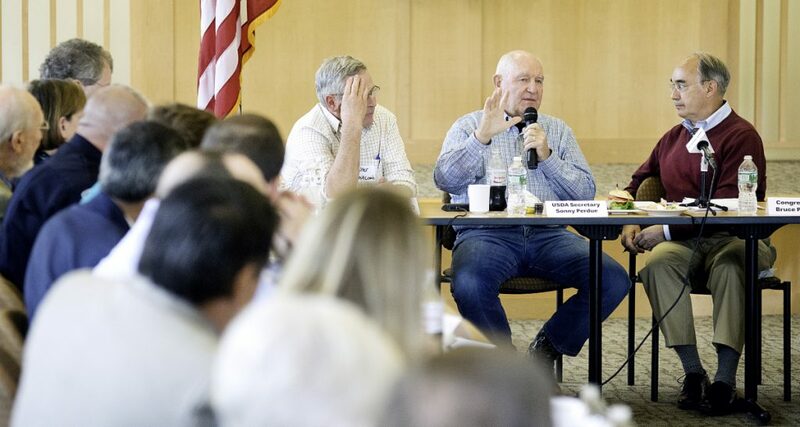 FARMINGTON — Representatives of several professions and nonprofit services from Maine’s rural counties met Wednesday with the U.S. secretary of agriculture and stressed the need for federal support for high-speed internet access, telehealth services and fighting opioid addiction. 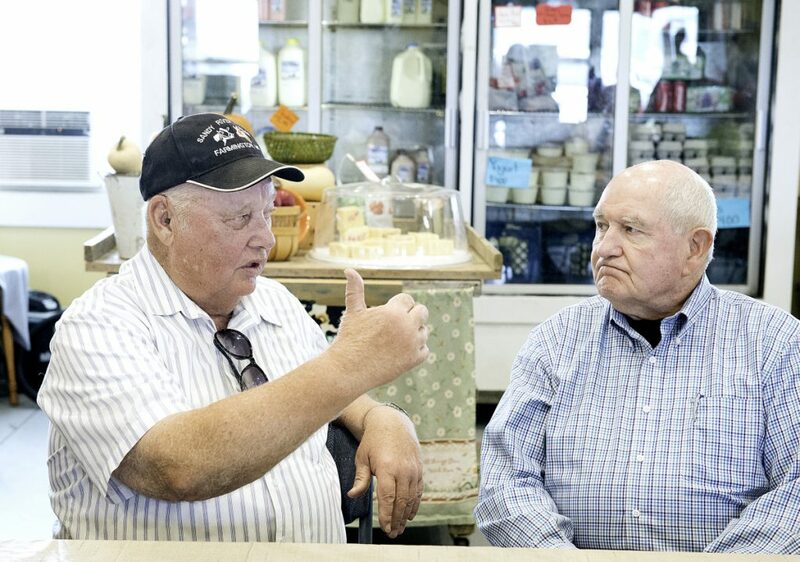 USDA Secretary Sonny Perdue and U.S. Rep. Bruce Poliquin, R-Maine, participated in the discussion at Franklin Memorial Hospital and then toured Sandy River Farms to talk with owner Bussie York and family at the Sandy River Farm Market about the needs of small rural farms and agriculture. The Rural Electrification Act of 1936 was created to bring electricity to farms, according to the USDA website. In 1936, nearly 90 percent of farms lacked electric power because the costs to get electricity to rural areas were prohibitive. A broadband infrastructure is important for a number of reasons, Perdue said, including economic development to provide jobs and education for rural prosperity. He told people to be candid about their needs. The Franklin Community Health Network in Farmington, which is part of the Maine Health System, is working on a new electronic patient record system so there is one patient, one record. People will not have to repeat their information to each health care provider, said Miriam Leonard, chief operating officer of the network. They have also developed a telemedicine program for the emergency department. If there was better broadband, they would be able to expand telemedicine services, she said. The need for broadband or better broadband was repeated many times during the discussion. The reasons included keeping younger generations here or coming back after college; getting businesses and families to consider relocating to rural areas; and for education purposes. The need for funding to start or continue to provide ongoing mental health, opioid and alcohol addiction treatment and counseling programs was also mentioned. In many cases, broadband could help, they said. The group also discussed the need to keep small, rural hospitals open to provide services to people in those areas. County jails are also challenged with providing services for opioid addiction and mental health services.